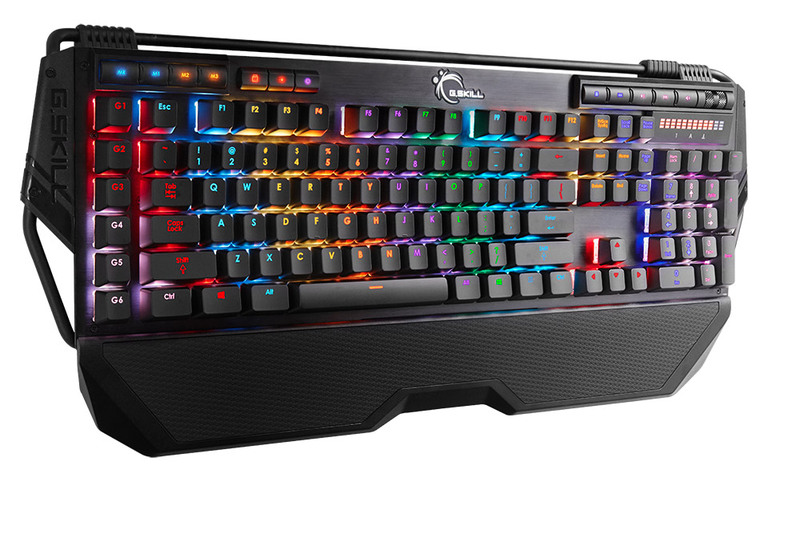 One of my favourite keyboards from last year, was the G.Skill KM 780 RGB. 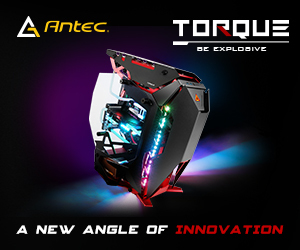 It offers just about everything I want in a keyboard, as well as having quite fancy RGB lighting if you fancy playing around with it. 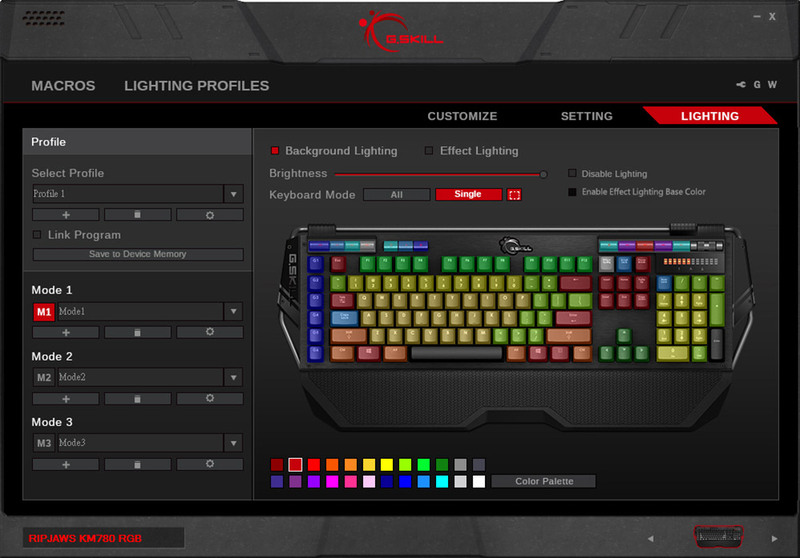 Well now all of G.Skill’s RGB keyboards should be a little easier to customise, thanks to its new colour picker. 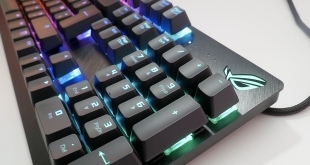 The KM 780 RGB keyboard is a strong keyboard with good backlighting. It’s not perfect, as is with many mechanical switch RGB boards, since the off-centre LED placement often means that the coverage throughout the keycap isn’t uniform. However with the new colour picker you should be able to mitigate this a little with brightness and colour tweaks. 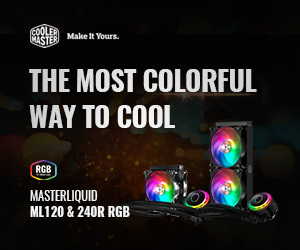 The new colour picker can be found within the G.Skill software suite, which is very fully featured – though perhaps a little obtuse on first usage. 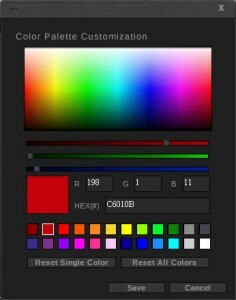 The palette customisation is what lets you get right down to the nitty gritty though. 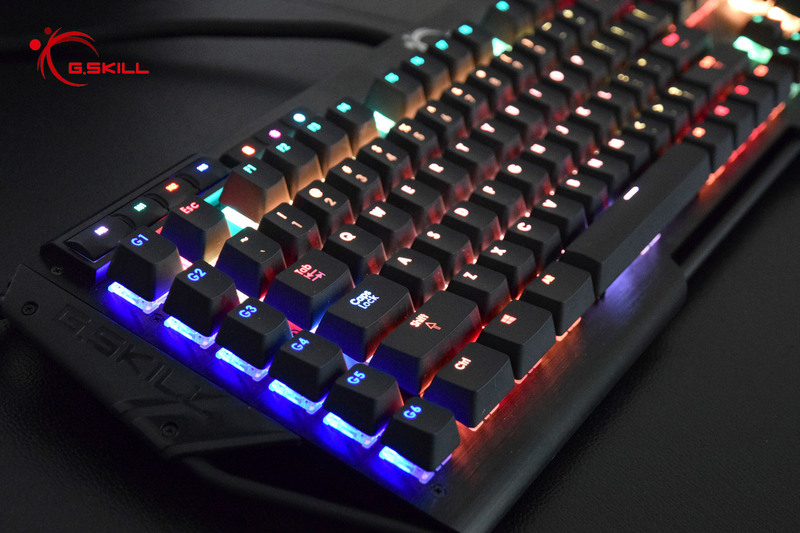 You can minutely control each aspect of red/green/blue input into each keycap, giving an unprecedented level of lighting control. It’s more than most users will ever need, but if you want your keyboard to be a very particular hue, you can do it with this new colour picker. Its release comes alongside a new firmware update for the KM 780, which allows for per-key customisation of the function and mode keys too. KitGuru Says: As much as I think the lighting looks cool on these boards, often I just leave them as some sort of reactive, or rippling effect. 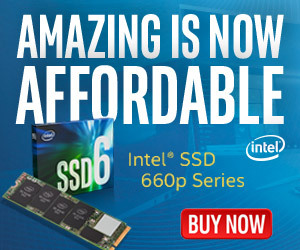 Do you guys go deep on the customisation?